"Starry Sky" cookies earn their moniker from their resemblance to a dark night sky with bright stars. 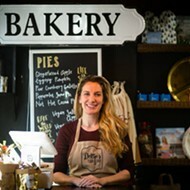 When Dottie Silverman, baker and co-owner of Dottie's Flour Shop (9783 Clayton Rd, Ladue; 314-692-8776), had the chance to make her love of baking a career, she didn't pass it up. "If you're lucky enough to know what your passion is, what a missed opportunity it is not to pursue it," Silverman says. 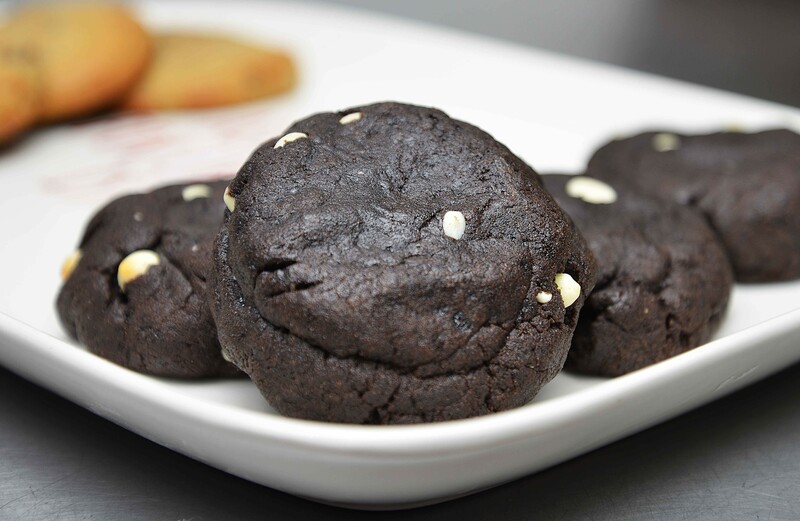 Formerly a litigation lawyer, Silverman now applies herself to a developing and baking an ever-rotating variety of pies, cookies and other goods at the Ladue bakery. Silverman met her business partner and fellow Dottie's co-owner, Jessica Lucas, through their childrens' school. The pair began selling baked goods out of Fozzie's Sandwich Emporium, owned by Lucas and her husband Mark. Dottie Silverman and Jessica Lucas met through their childrens' schools, eventually disovering each others' interests in baking. Business eventually picked up so much that a brick and mortar location was needed. 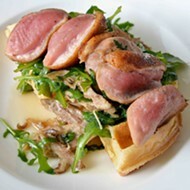 Lucas and Mark had recently closed their other eatery and pizza place, Humble Pie, providing the perfect space. 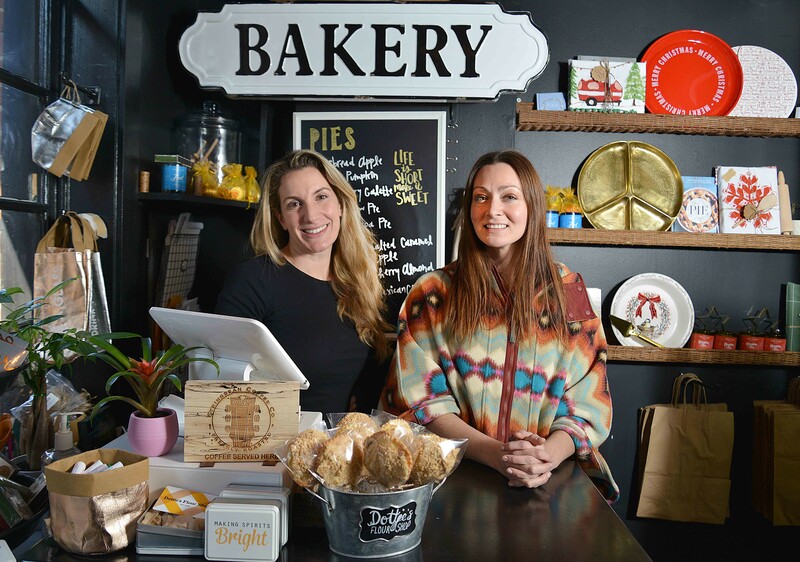 After the pair traded out their pizza ovens for a convection one, constructed a wall and reconfigured the space, the modest retail area and baking kitchen opened on Nov. 9. 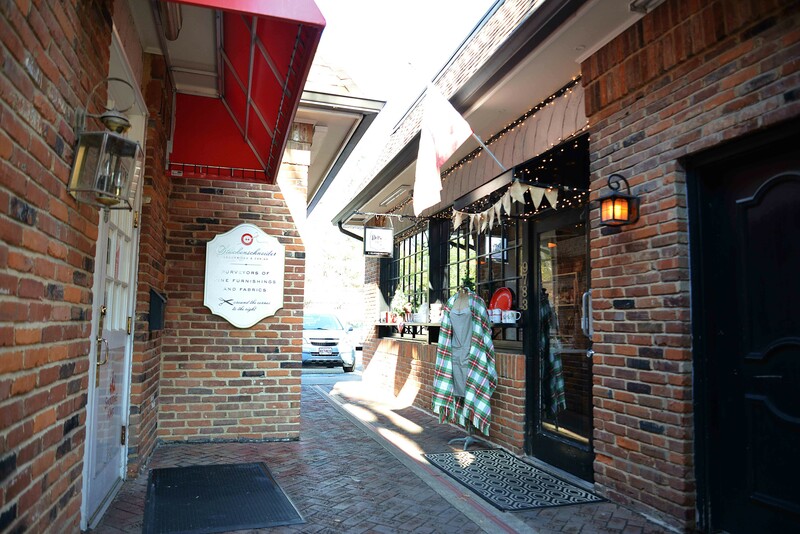 Nestled cozily in a brick and stone alley on a busy strip of Clayton Rd, Lucas and Silverman have enjoyed adding a physical presence to their already thriving business since first welcoming customers a month ago. "The wonderful thing about having this little shopping district here is you really do get to know your customers and your neighbors," Silverman says. "This business is very much about relationships to us, with customers, vendors and the community at large." 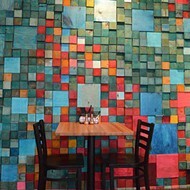 While a tangible storefront is new for Dottie's, the pies and cookies are the same as ever: inventive and tasty. Silverman, while admiring traditional flavors, also likes to put her own spin on things. In her spiced peach pie, a bit of coriander and cardamom adds an unexpected twist. However, she does not simply experiment in the kitchen for the sake of it. By mixing sweet and savory flavors, Silverman tries not to create "something that just tastes different, but something that tastes better." To that end, Dottie's utilizes softer-than-average dough, similar to that of an empanada in its signature pies. Seasonal pies provide the opportunity to rethink the offerings every six weeks, something Silverman delights in. The gingerbread apple pie and not hot cocoa pie are holiday favorites, although Lucas and Silverman caution pies are an all-year affair. Pies, such as this gingerbread apple version, are available for the holiday season. 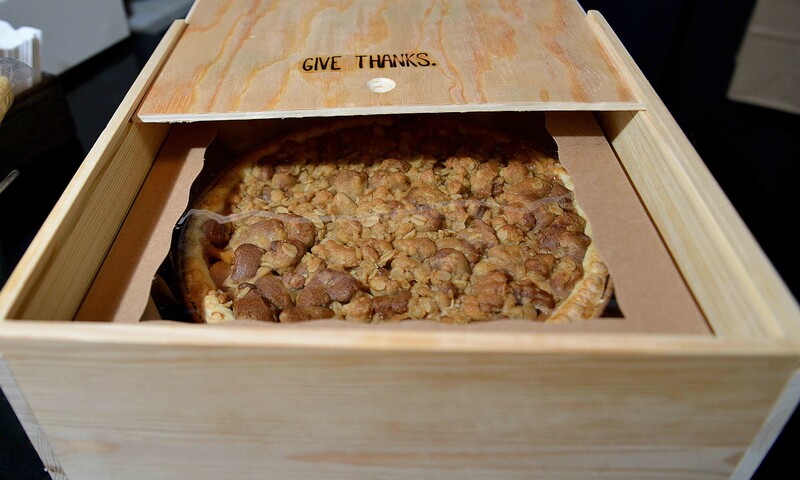 Wooden boxes such as this one are available for $35 or $25 with the purchase of a nine inch pie. "As much as people affiliate pies with Thanksgiving, truthfully some of the most gorgeous pies are made in the Spring and Summer, especially here in the Midwest when we’re able to visit local orchards, strawberry and blueberry fields," Silverman says. If customers have their heart set on a particular pie not in season, Lucas and Silverman will still do their best to accommodate. 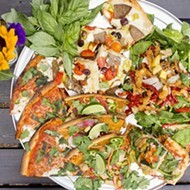 They also take specialty orders for birthdays and other occasions and offer several vegan options that provide an alternative for more conscientious eaters. 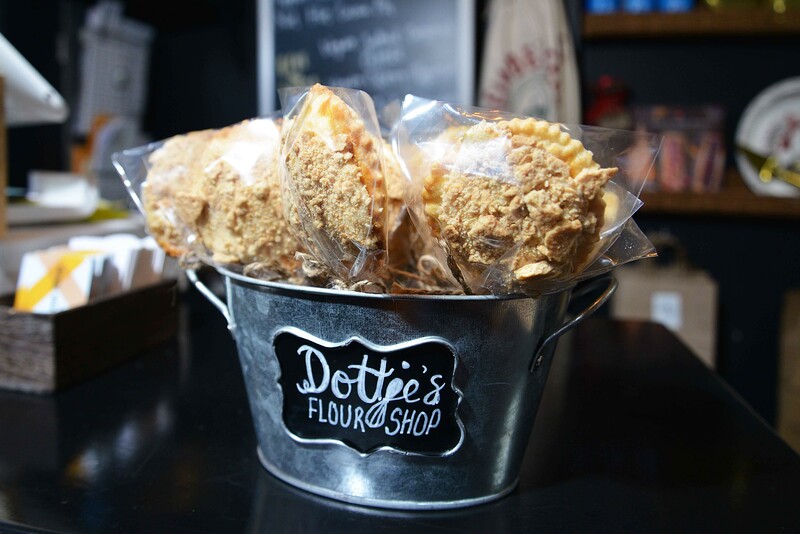 Pie pops and a wide array of cookies are more of Dottie's specialties that are available at the new storefront. Lucas and Silverman have an impressive online shop and retail collection as well, most of it locally-sourced. "We don't carry anything we wouldn't put in our own homes," Lucas says. Hawthorne Honey from Compton Heights and Stringbean Coffee from Brentwood are just two items carried on the retail side. Some items give a portion of proceeds to charitable causes, too, such as building schools and wells in developing countries. A standard nine inch pie is priced at $25, reflecting the craftsmanship Silverman puts into it. A four pack of small pies goes for $30. Dottie's Flour Shop is open Monday through Saturday from 10 a.m. until 5 p.m.
Click through for more photos of Dottie's Flour Shop. Down a small brick alley, Dottie's pies feel right at home in this cozy nook. Pie pops are mini pies on a popsicle stick.